Proof, if it was needed, of the fact that people care more about their cats than other people is to be found in an extreme form in Martin McDonagh’s devilish play. 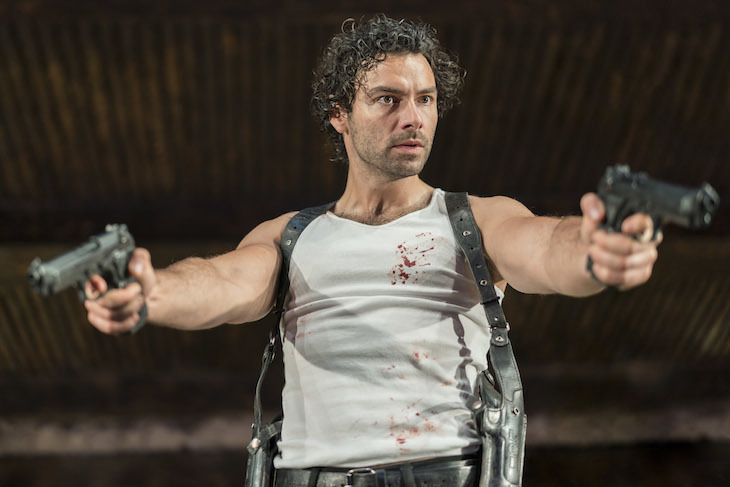 The titular figure in The Lieutenant of Inishmore is an Irish republican terrorist in the early 1990s (Aidan Turner, of the BBC’s Poldark). He bombs, maims, tortures — he is deemed too reckless for the IRA — but loves his kitty to bits. And when the feline is killed, the cat-mad-man storms back home to County Galway wanting answers. What ensues is black comedy of a recognisable sort. Those who saw McDonagh’s Three Billboards Outside Ebbing, Missouri will be braced for the gut-wrenching (often bloodily literal), and plot-twisting that fills his writing. 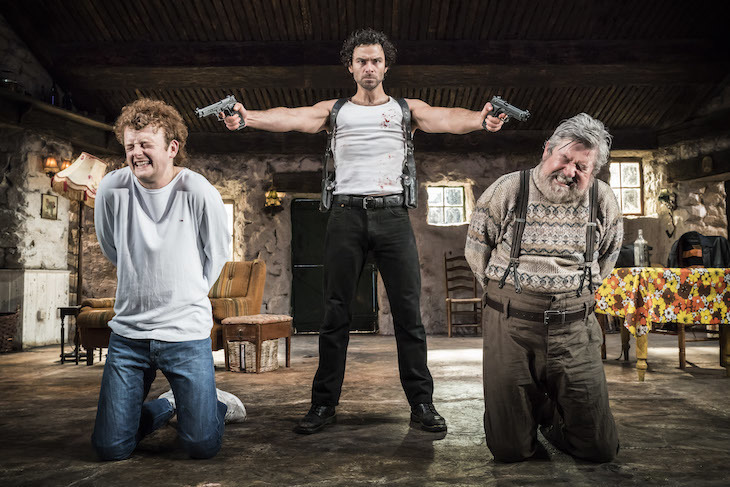 And director Michael Grandage certainly puts you through the wringer here; the show’s big ‘reveals’ assisted with his cunning use of off-stage space. The Lieutenant is beautifully basic in setup, and breezy in runtime compared to Jez Butterworth’s similar 2017 Royal Court hit, The Ferryman. 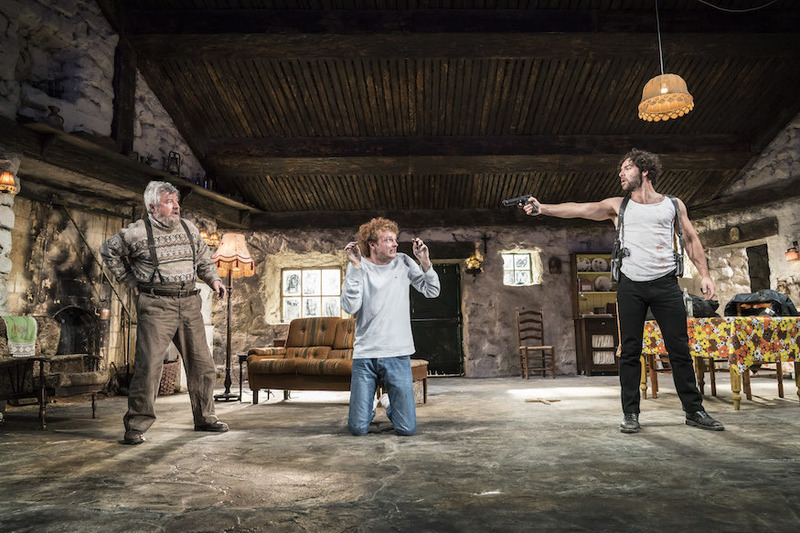 Putting the IRA on stage was once unthinkable — seems the West End now has a taste for morally murky drama. Turner is a marvellous Jekyll-and-Hyde — both a gun-toting maniac and a sensitive hunk, who meets his match in an impressionable wannabe militant (Charlie Murphy). The Lieutenant is from a different time — an Ireland before the Good Friday Agreement or mobile phones — but it remains a fearless and relevant work, capable of cajoling your sympathies for even the most barbarous of individuals. The Lieutenant of Inishmore, Noel Coward Theatre, 85-88 St Martin’s Lane, WC2N 4AP. From £10, until 8 September 2018.